sp.a_consulting Realizing a Spa is a fascinating experience. Anyway, to get the best results you need know-how and a careful and precise planning. In Starpool, we believe we can face such a creative outcome only by giving life to a team of professionals able to work closely to achieve the best possible project. A combination of competences, taste and management skills to make a real difference. A good project allows a good management. A 40-year experience, more than 3.000 project implementations in Europe and all over the world, historical-cultural but also medical-scientific knowledges in the thermal and sport environments mixed with passion and curiosity. These are the ingredients Starpool offers their clients to identify, from time to time, the most adequate solution to satisfy any requests. Engineering planning of Spas, swimming pools, tailor-made products, mechanical and electric plants, feasibility and sustainability analysis with consequent business plan development, training and start-up are some of the service that Starpoolâ&#x20AC;&#x2122;s clients can employ. sort of false fever that activates our immune system. method on the international magazine Sport Sciences for Health. fundamental to restore our temperature to normal standards and to feel good again. exposed to the adequate heat, cold and rest posology. signage and supports, help the user by informing him/her on times and conditions of use of each environment. Once the subjects completed their Spa path, they reported an increased modulation of the heart rate due to the vagal system our body activates mostly when relaxed. 4 BRACELETS FOR 4 WELLNESS GOALS Choose your path, put the bracelet on of the corresponding colour and follow the guidelines. In an organized industrial-model production chain like Starpool’s, the human value and the sartorial core are the cornerstone both in the production processes and in the prior design phase. Our Research & Development unit – our beating heart – thanks to a team of engineers, industrial designers, programmers and the cooperation of physicians with different specializations conceives and develops the best solutions to ensure high standards of quality, hygiene, innovative technologies and methods of use of any Starpool’s appliance. Our Research & Development unit’s outcomes are all our patents and the numerous registrations of industrial design, which highlight our capacity for innovation. All kinds of saunas, steam and heat baths of Starpool’s collections are finished and internally covered products, with a maximum attention as regards hygiene – thanks to the top technologies, we can guarantee the energy saving and the remote control of the appliances. Along with the possible customization of every product, Starpool’s range of products offers over 20.000 possible configurations for steam baths, saunas and heat baths, then relax beds, showers, cold baths, pools, dryfloating products and furniture for Spas. GREEN TECHNOLOGY We believe in the added value of the environmental-friendliness. For this reason, our products offer solutions to reduce the energy consumptions and to improve and automate their functions. The green nature of Starpool’s products is a priority in all collections. and keep the temperature regular. management of all Starpool’s products. of all Starpool’s devices installed in a Spa. and the optimization of the energy loads. by managing the energy load. functions of all the Spa products through the voice control. When you control the power distribution you avoid the overrun of the kW set to make the appliance work properly, for a long-term saving. 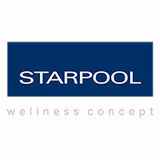 A range of products that show the know-how of Starpoolâ&#x20AC;&#x2122;s professional world in a smart version. Objects with clearly contemporary and urban design that modernize the most ancient wellness rituals. The SoulCollection products support the desires, times and manners of whom lives his time for wellness helped by technology. An intuitive software that via tablet, smartphone or touch screen can switch it on and off and select the music you prefer. Nordic atmosphere for SoulSauna whose origin lies in the typical Finnish Savusauna, where the absence of a chimney dirtied the benches and walls with soot. The pale charcoal grey and dark brown effect is given by a special treatment with natural wax to guarantee the best healthiness. The Nordic tradition meets Val di Fiemme. You can cover the SoulSauna with the prestigious resonance spruce, the same tree Stradivari used to use for his violins. With SoulSteam, the wellness takes shape in its pure and austere lines, but especially in the perfect mix of steam and water. Steam bath, shower and water blazes fuse together to give life to a multi-functional product. Sauna and steam bath as pieces of design that perfectly suit the wellness environments and take shape in new interior settings. Not only a revolution of colours, but also the total-black look of Starpool taps and fittings and of the steam bath accessories. A collection inspired to allure, elegance, sensuality and seduction. The Glamour products are precious jewels made by Italian craftsmanship full of memories reinterpreted in a contemporary style. Our GlamourCollection is by Cristiano Mino, award-winning designer. Glamour It satisfies your need of getting surrounded by objects able to give voice to your personality with a determined and charming style. Glamour evokes the social tradition and memories and renovates and interprets it both in an aesthetical and technological way. cedar or the black pine – everything is well finished, even the most hidden detail, the designer Cristiano Mino explained. To worry about the invisible distinguishes the real craftsmanship and the top quality. GlamourSaunaPro A journey back to the past, in the heart of the fascinating Scandinavian culture. A jump back to one thousand of years ago to a cold country, but full of lakes and forests. In GlamourSaunaPro expert hands combine refined and genuine raw materials with well engineered environments. The different covering offers surprising colour effect, but also intriguing properties. From the Canadian red cedar, with its disinfectant, antibacterial and hypoallergenic features, to the black fir, the Finns’ most loved product, the “SavuSauna” or “SmokeSauna”. An evident custom-tailoring springs from the boards that, on a regular basis, alternate different but identical heights at the points of intersection with the bench. A stylistic choice not to visually bother the geometry of a perfect drawing. A look to the past, an involving mix of sinuous and soft lines. The gold and the silver hone the functional elements like the steam inlet source and the wall columns. The particular working in anodized aluminium forges these jewels in a unique mould. The result expresses power and personality. Soft and natural lights conceal the interior environment. It seems like being on the doorway of a secret world. The lantern ceilings with the set spotlights remind the natural slivers of light of the past hammams. GlamourMediterraneanPro The inspiration derives from the Roman laconicum, an alternative to the heat of the Nordic sauna and the humidity of the Middle East hammams. It is the Mediterranean Bath®, where the heat comes from the walls, giving life to very social moments. The Starpool’s patented Mediterranean technology created an environment with milder temperatures and a slightly higher humidity rate. The heat effect stimulates the gradual and constant sweating without tiring. The emotional effect of GlamourMediterraneanPro comes from the nozzle installed in the ceiling that, on a regular basis, releases on the hot stones of the heater a fragrant flow. A red light envelops your body in a warm steam cloud of lavender. GlamourIcePro is the new Starpool cold line – elements associated to an evolved design that group together in the same environment functionality and beauty. Thanks to the Cool System, the cold air is provided evenly and keep the temperature between 5°C and 15°C. Glamour IcePro A fresh environment and finely minced ice to live the most genuine cold reactions. SweetCollection A Starpool’s iconic collection made of elegance and design, valuable materials, forms and technology. “Natural and highly performing materials able to give sensation of pure comfort with the complicity of water and heat” A trailblazing functional design. With a grouted surface lower than 1% of the coverings in priceless marbles or crystals, SweetSpa is the product guaranteeing the best hygiene. The Solid Surface of the bench is a material composed of natural minerals and of a tiny percentage of high-strength resins to make it porefree, antibacterial and long-lasting. The under-bench inlet system produces a mix of steam and aroma that ensures the healthiness of the environment and an even distribution of the steam, without any layering effect. Its versatility makes it an extraordinary steam bath. With SweetSpa, the ordinary shower becomes a complete mini Spa. SweetSauna90 In less than 3 sq.mt, this product keeps high technology and beauty. SweetSauna90 is the multi-function sauna that lets you create a tailor-made environment dedicated to wellness. A precise planning analysis managed to fine tune the oak to the clean-lined style of an almost minimal design. The natural oak, with the original saw-cutting or brushed effect is like a dress of sober elegance for SweetSauna90. The particular surface working of the boards in natural oak and the building pattern reduce the use of glues during the laying – this is what makes SweetSauna90 so healthy. A complete product with a unique standard composition, ready to be installed in already paved locations since the modular system simplifies the laying operations. Another incredible feature is the low energy consumption both when the sauna reaches 90° C in 30 minutes and during its use. SweetPro Contemporary design and a forceful nature. A sauna, a steam bath and a Mediterranean bath that furnish the room it is installed almost on its own. SweetSaunaPro is a warm and cosy environment, the most evocative wellness place since ever reinterpreted in a contemporary shape. The clean lines and its light nature perfectly complete the SweetSaunaPro with the other architectural spaces. An assault on the senses. When you enter, the oak and its intense shades give unexpected emotions. The view is satisfied by tones, saw-cutting effect and natural texture of the wood that make the heat bath even more welcoming. In SweetSteamPro of Starpool’s professional line, conceived in compliance with a criterion of elegance and high performances, the aromatized steam blends with the coloured lights and create amazing effects. Moreover, the technological aspect of this steam bath Featured by the exclusive AirSteamSystem® that produces a constant blend of air, aroma and steam without any layering effect. With SweetMediterraneanPro, the warm bath honours the original purifying rituals in a modern point of view – the heat is less intense and comes from the walls gradually. The environment becomes pleasant and airy. Supplied with heating walls, a technique for the regular heat accompanied by the temporized release of aromatized lavender-scented water. ClassicCollection Total customization for the product line of wellness tradition with an approach ranging from the alpine to the elegant classic style, sometimes with contemporary influences. A tailor-made range of products with unique lines arising to emphasize the signature feature of the hosting SPA. An inspiration arising from the Arab hammam and the ancient Roman thermal baths to live again today the ancient magic of places apt for the most authentic wellness. From the ancient Byzantine tradition of mosaics, to the natural stone typical of the place and the most refined marbles; these are only some of the infinite customizations possible for ClassicCollection steam baths. texture, which perfectly match with the place where they are. Outdoor Collection OutdoorCollection This is a product originated in the forest and inspired to its colours and twisting games of the veining in the wood. An idea taking wellness to the open air with a variety of forms and dimensions. â&#x20AC;&#x153;The use of two different extracts as covering for the external and the internal walls create a curious game of contrast with a pleasant dichromatic effectâ&#x20AC;? and windows, the whole building process simplifies and reduces the execution times of the project up to 80%. winter and a few cooling during summer. layout without gallery. The fir structure, in the thermo-treated light or dark waxed version, grants sustainability and a natural harmonic ageing. The brushed-copper surfaces add warm and home features and protect the most sensible areas. DryFloatExperience In the absence of gravity and points of contact, your body relaxes and regenerates, while your mind can fully express its potential. Nuvola Experience is a three-element system that revolutionizes the traditional aesthetic treatment. The synergic use of these three elements amplifies the results of aesthetic treatments and massages, bringing all the physical and psychological benefits of floatation, of hydro-massage and of the heat-cold alternation, without any direct contact with water. Nuvola Innovative bed for beauty treatments while floating in zero gravity. It enhances the total physical and mental relaxation, thanks to the synergy of floatation, the operatorâ&#x20AC;&#x2122;s hands and the cosmetic of your choice. Battista Multifunctional trolley on wheels with supporting surface and heated/iced compartments for treatments and massages enhanced by the heat/cold alternation such as in a perfect Kneipp style. Soffio Advanced and technological massage table with water mattress, crossed by a delicate wave which lightly touches your body and goes along for the whole treatment. A totalizing experience that takes your mind and your body back to those ancestral sensations of pleasure, protection and safety of your mother’s womb. Suspended in the warm hug of water, the nervous central system is freed from every external stirring and your mind can express all its extraordinary potential, while your body relaxes and regenerates. Zerobody is the “dry” evolution of traditional floatation, the technique of deep relaxation through floating in water. It has an extremely quick and practical use. You do not need to take your clothes off, there is no direct contact with water. Your body remains suspended in 400 liters of hot water, thanks to an innovative protective membrane®. Through colours, music and Mindfulness paths, your relaxation experience will be totalizing. Arch. Studio Ale Dolci & Co.